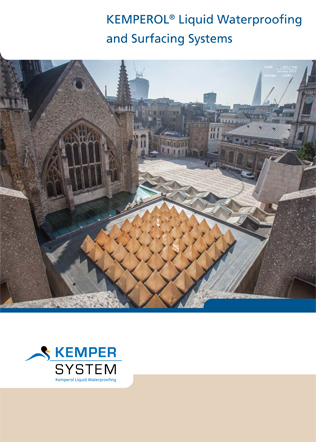 STRATEX from Kemper System is an integrated warm roof that offers exceptional performance and is supplied as a complete system of matched components from one of the world’s leading roof waterproofing manufacturers. Its unique tongue and groove insulation board and KEMPEROL® wet-on-wet cold liquid applied waterproofing - create a warm roof system that is easily specified, fully tested and and totally reliable. STRATEX is an engineered system comprising all the elements for a warm roof specification – vapour barrier, insulation and waterproofing. It is equally suited to concrete, timber and metal decks on new build projects as it is to refurbishing existing roofs. STRATEX is also ideal as a complete warm roof solution below an extensive green roof. I agree to let Kemper System Ltd contact me from time to time in regards to the STRATEX Warm Roof System brochure and related products.